This book provides undergraduates with a step-by-step guide to successfully carrying out an independent research project or dissertation. The book addresses each stage of the project by answering the questions that a student is likely to ask as the work progresses from choosing the subject area and planning the data collection through to producing illustrations and writing the final report. 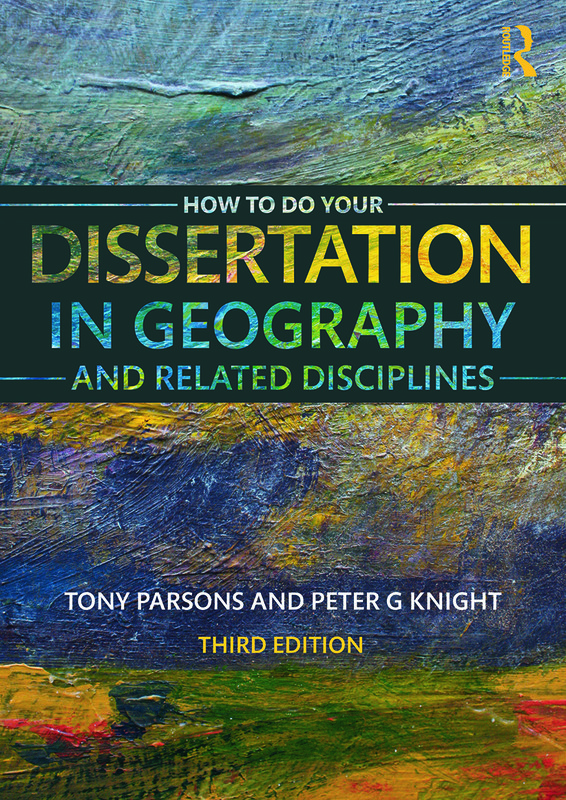 Most undergraduates in geography and related disciplines are required to undertake individual projects as part of their degree course; this book is a source of constructive, practical advice. 1. Introduction 2. What is a (good) dissertation and why do I have to do one? 3. When should I start and how long will it take? 4. What shall I do it on? 5. Research design 1 - what approach should I take? 6. Research design 2 - exactly how should I do this project? 7. What kind(s) of data do I need and how do I get them? 8. What amount of data do I need, and what can I do with my data? 9. How should I write up my dissertation? 10. Help! It's all gone horribly wrong. What can I do? 11. How will it be marked? Tony Parsons is professor in the Department of Geography at Sheffield University. His research interests are in Hillslopes, dryland geomorphology and soil erosion. Peter G. Knight is a senior lecturer in Geography at Keele University. He carries out research in glaciology based on Arctic fieldwork and laboratory experiments. His research interesets also include the relationships between art, science and goegraphy.